Make your home cosy with a carpet, choose from a huge range of striking colours, textures, stripes and patterns. Loops and twists. Velvets, Saxony’s or shag pile and stair runners. From special sizing up to 48feet wide and special dyes and design, there’s a carpet for everyone.Create fresh designs and put a unique style statement in to your home with the elegance and sophistication of the natural look of wood and stone. Our hard flooring collection is now in our showroom, offering the highest quality French Oak boards. At Winnens we offer an extensive range of natural floor coverings such as Seagrass, Coir, Jute, Sisal and Wool. And if you want to go green….. go recycled with Mohawk carpets offering ranges made from Plant fibres and recycled plastic bottles. Take the weight off your feet and relax in style with one of our sofas or plush armchairs. Explore our full range of classic and contemporary sofas to find the right choice for your home. From traditional, fixed upholstery to a more contemporary array of informal cushions, whatever style of sofa you prefer, each is built upon a solid wooden frame and involves an exceptional percentage of hand crafted work to create look and luxury. Nothing sets the tone of a room better than wallpaper. Stunning wallpaper gives a room a pulled-together look and can totally transform your space. From classic art deco designs to floral prints, wallpaper has always been able to transform the style and design of a room. 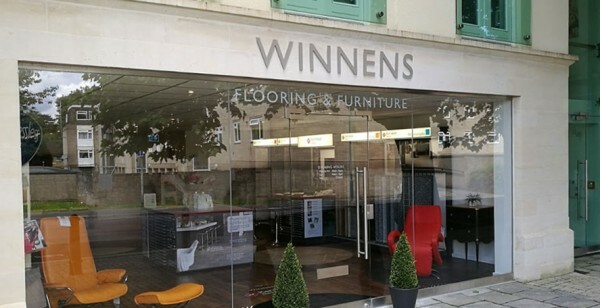 Whether its an elegant room or a statement-making wall, with Winnens extensive collection of wallpapers there’s something that will work for every size and style of room.